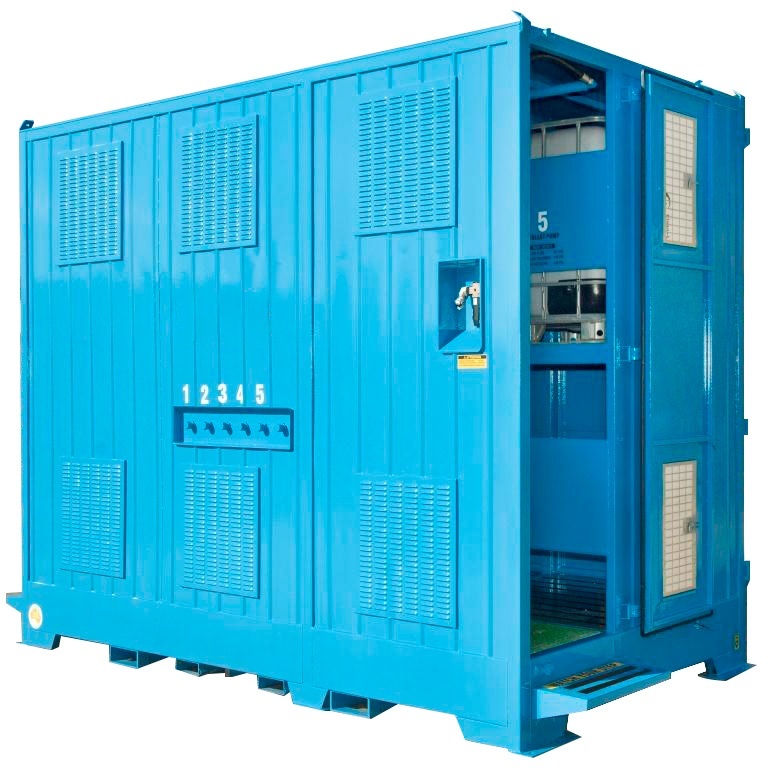 Customisable, heavy duty oil stores which dispense liquids on remote mining, construction, defence and excavation sites. 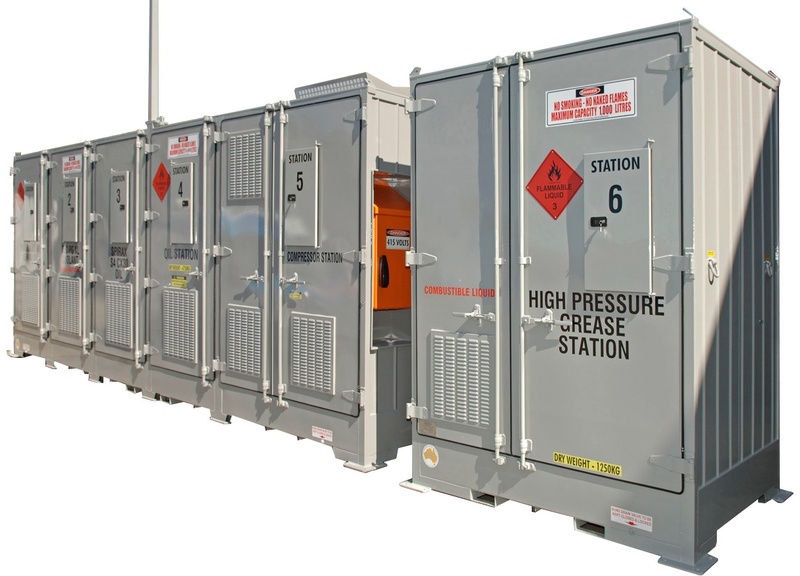 Easily store and dispense lubricants on remote working sites. 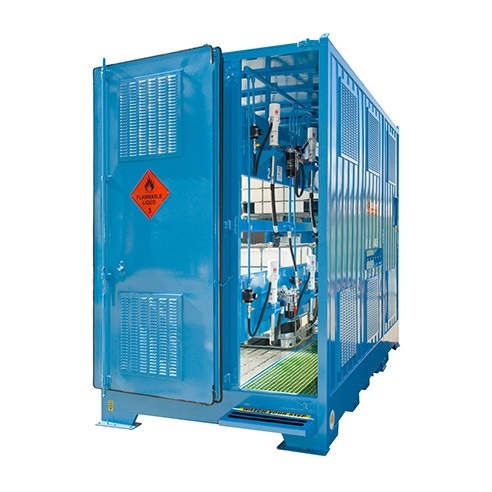 The customisable Lubemasta lubrication system works as both a storage and dispensing unit, smoothly distributing liquids to cut out hours of laborious work manoeuvring heavy drums and hoses. 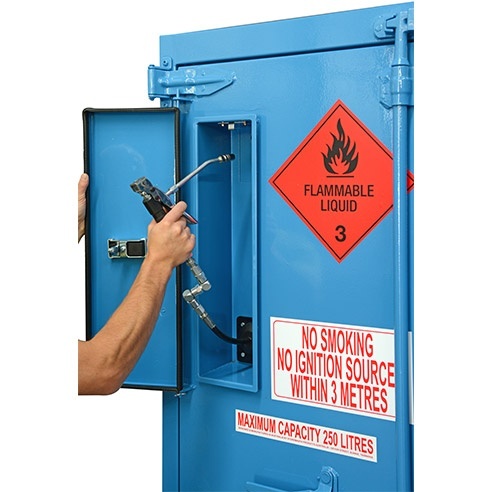 Fully compliant with relevant Australian Standards (AS1940-2004), the Lubemasta lube station dramatically reduces and worksite safety risks. 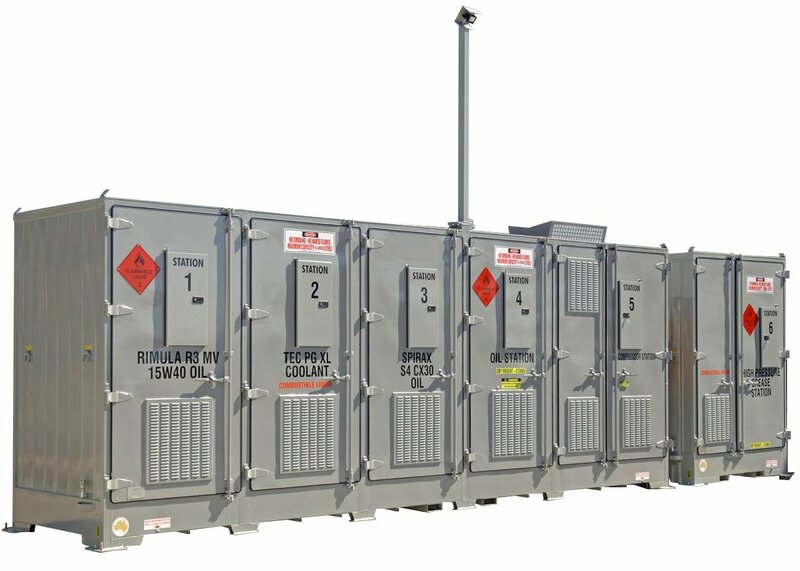 The swingtech lubrication stations allow organisations to have a clean and uncontaminated supply of lubricants on remote working sites. 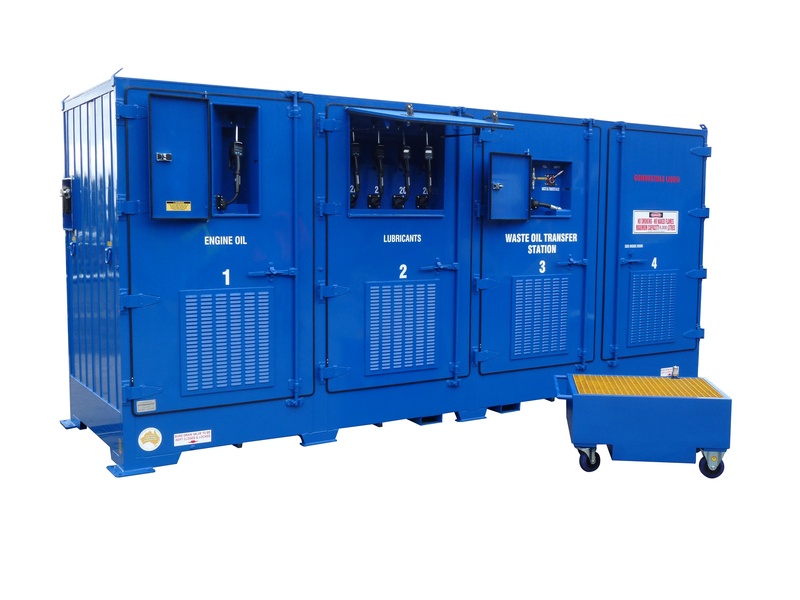 A clean supply of lubricants allow organisations to save time and money when undertaking machinery maintenance on remote working sites. 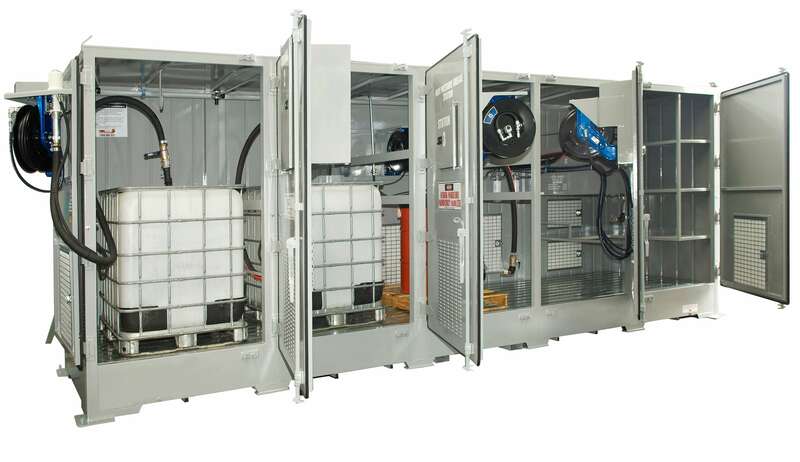 The flowline dispensing stations allow organisations to reduce risk and increase efficiencies in the storage and dispensing of lubricants and other hazardous fluids. 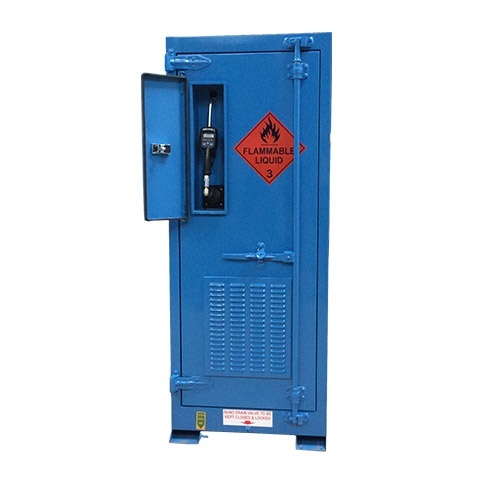 It allows organisations to store larger quantities of combustible fluids outside their facility in a store that meets the design requirements of AS1940. 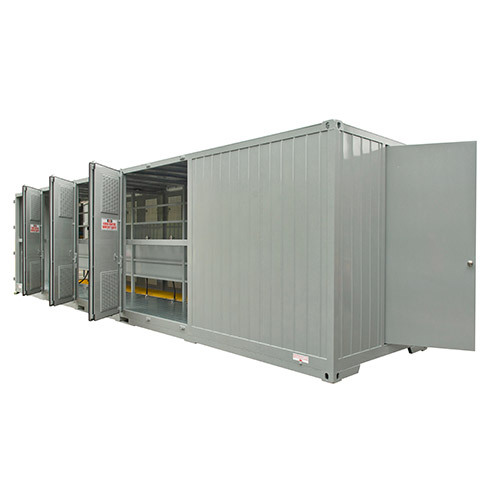 This dispensing station also pumps the lubricants and other fluids to multiple locations within the factory allowing workers to have clean and uncontaminated supply of lubricants at point of use. Manufacturing facilities that have a lot of machines often require multiple types of lubricants to keep their factory running smoothly. 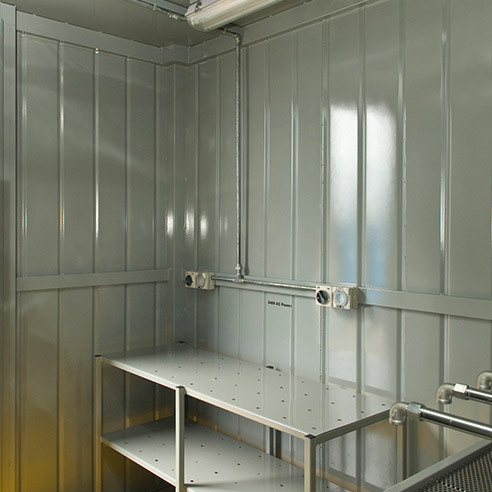 The STOREMASTA lubrication dispensing rooms allow organisations to safely store and dispense multiple lubricants from one central location. 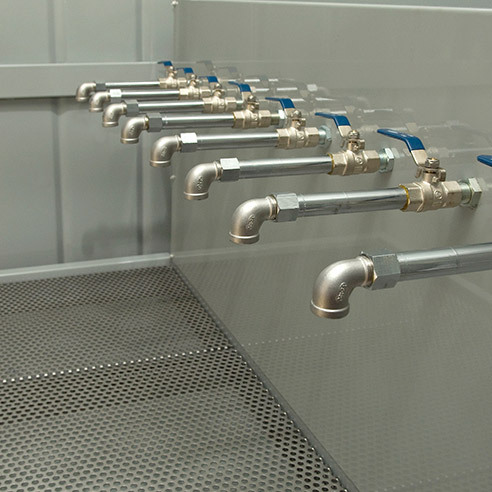 Lubemasta lubrication stations are fully customisable. The size, shape, colour and dispensing system can all be designed to best suit your needs. 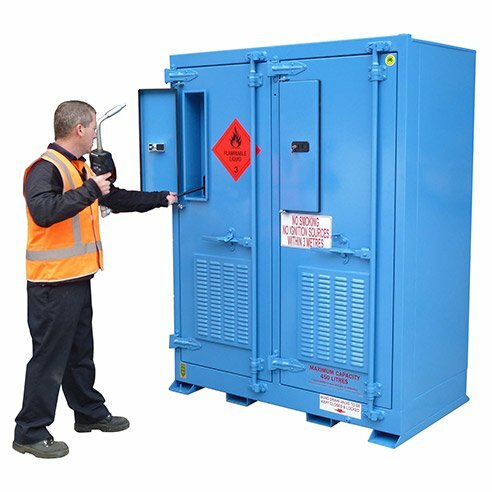 Speak to a STOREMASTA dangerous goods consultant to outline your goals, challenges and lubricant storage or dispensing requirements. 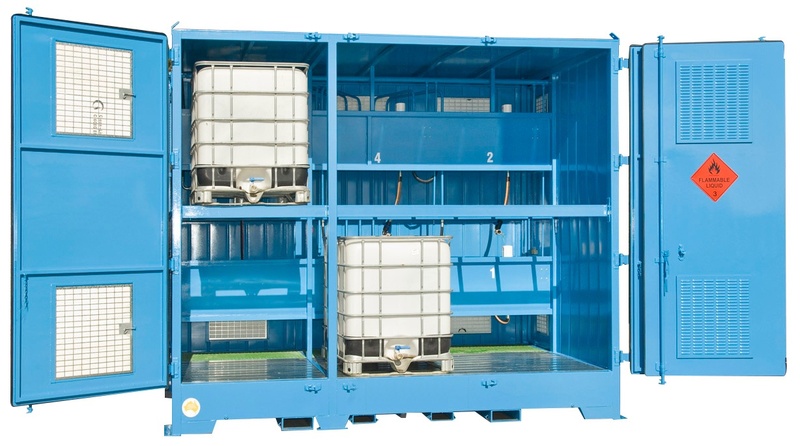 Following this discussion, our expert team will develop a product concept for storing and dispensing your lubricants. Once the concept is presented, tweaked and signed off, we manufacture your Lubemasta at our Australian plant and deliver it right to your site. We’re here to help you find a solution that's right for you. Fill out the form below and one of our compliancy specialists will be in touch within the next 24 hours. Authentic parts repair or replacement. Improving operator training and efficiency.